Many people probably think that travelling on the road is the most dangerous time to be in a car. But parking lots also have their fair share of hazards. It is very easy to break a bone, end up with a concussion, or suffer a sprain or strain in the parking lot. If you have suffered injuries in a parking lot accident, you might be entitled to compensation to help pay for your medical bills. But you should meet with a Daytona Beach personal injury attorney first to properly evaluate your case. 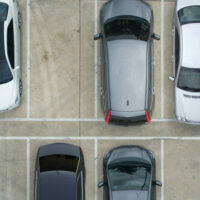 Below are some of the most common ways that people are injured in parking lots. Even at slow speeds, car accidents can cause serious injuries. You might be injured while in your vehicle or while crossing the parking lot as a pedestrian. For example, some drivers do not check their rear-view mirror or over their shoulder before backing up their vehicles. As a result, they can hit other motorists or pedestrians. Someone struck in their vehicle could suffer whiplash, broken bones, or soft-tissue injuries. If they struck their head on the steering wheel or the side of the car, they could also suffer a concussion. Pedestrians, who are unprotected, probably will suffer even more serious injuries in a collision. Depending on how they land, a pedestrian could suffer a traumatic brain injury, spinal cord damage, and possibly even death. Treat a car crash in a parking lot just as you would a collision out on the freeway. Call the cops, exchange insurance information, and then get immediate medical treatment. Pedestrians might trip and fall or slip and fall because of cracks or potholes in the parking lot. Indeed, poorly-maintained parking lots are a minefield to cross, and many pedestrians can easily fall. They might also slip on debris that has not been cleaned up, such as slick leaves or plastic bags left in the parking lot. After a fall, a pedestrian can suffer many injuries, such as sprains, strains, fractures, and brain injuries. Elderly pedestrians will likely suffer even more serious injuries in a fall, breaking their hips and arms, or suffering internal organ damage. After a fall, note the time and location and try to get a picture of whatever hazard caused you to tumble. Some people are assaulted in parking lots by criminals. Poor lighting or inadequate fencing can contribute to crime, by making it easier for criminals to loiter and surprise unsuspecting pedestrians. As a result, victims can be punched, knifed, shot, raped, or beaten. Some customers might even be shot or caught in the crossfire when they wander into the midst of a gang fight. In some situations, a store might be legally responsible for criminal activity in its parking lot. The key will be what sort of precautions the company took and what they knew about likely criminal activity in the area. Stores cannot guarantee every patron’s safety in the parking lot, but they cannot be negligent either when it comes to security. If you have been injured in a parking lot, the store might be to blame. To check whether you have a valid legal case, please contact us today at Bundza & Rodriguez, P.A. We offer a free consultation, which you can schedule by calling 386-252-5170.